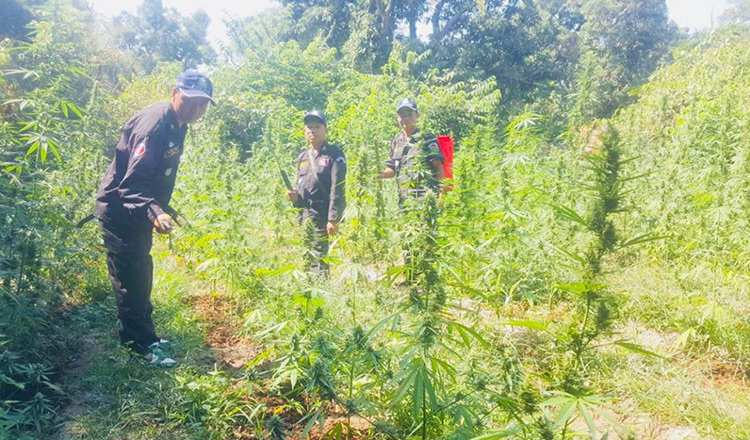 Police in Takeo province on Saturday continued a crackdown on illegal marijuana plantations, discovering and destroying nearly 1,200 plants in Kirivong district, bringing the total destroyed by police this year to about 56,000. 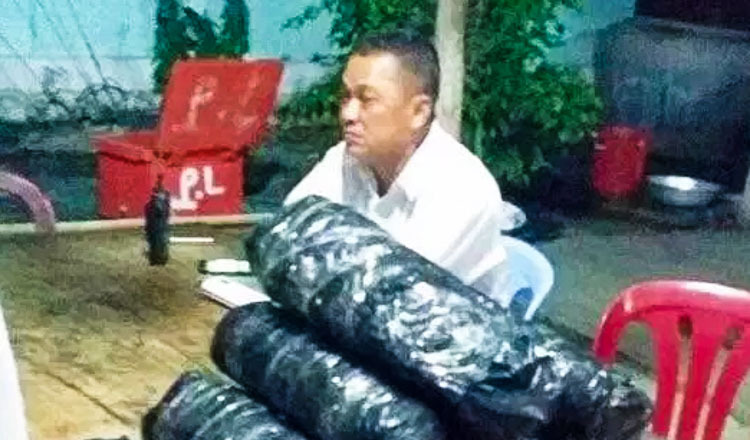 Yang Dara, deputy district police chief, said yesterday that his officers were following orders from provincial police on Saturday when they found and destroyed 1,139 plants in seven different locations in Preah Bat Choanchum commune. Mr Dara said the owners of the plants remained unknown and that police were continuing to investigate the case. 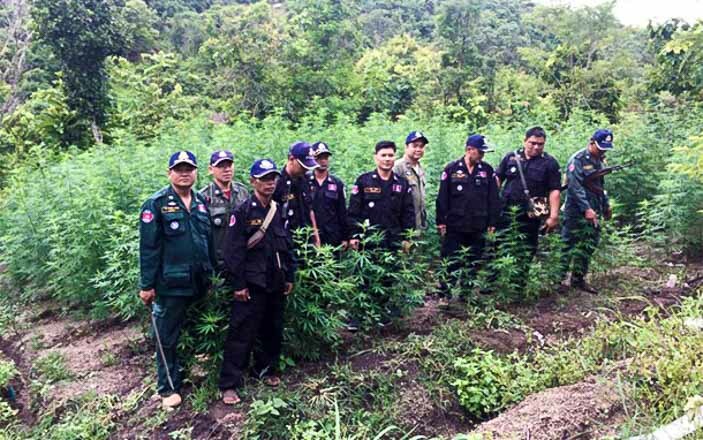 According to a Takeo provincial police report, officers have destroyed nearly 56,000 marijuana plants so far this year and made one arrest, sending Keo Phu, 18, to court over the transport of 10 kilos of marijuana in January. 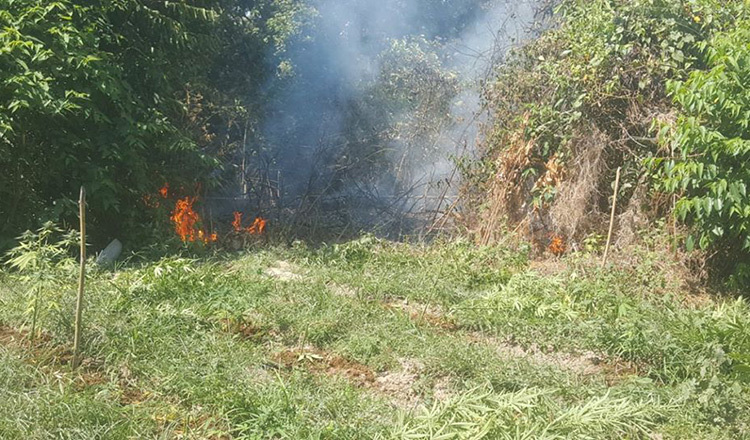 Meanwhile, provincial military police have separately cracked down on plantations this year as well, burning about 65,000 plants last month alone. 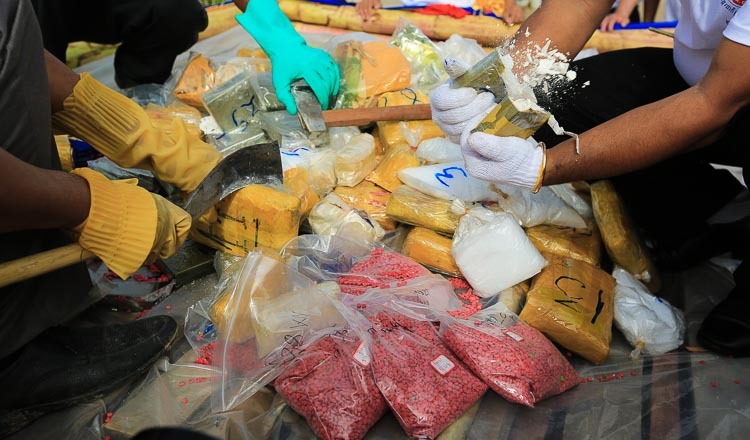 A report by the National Authority For Combatting Drugs for 2017 showed that authorities cracked down on 8,152 cases of drug trafficking and drug use, arrested 17,877 people and confiscated more than 173 kilos of drugs, including 113 kilos of dried marijuana. 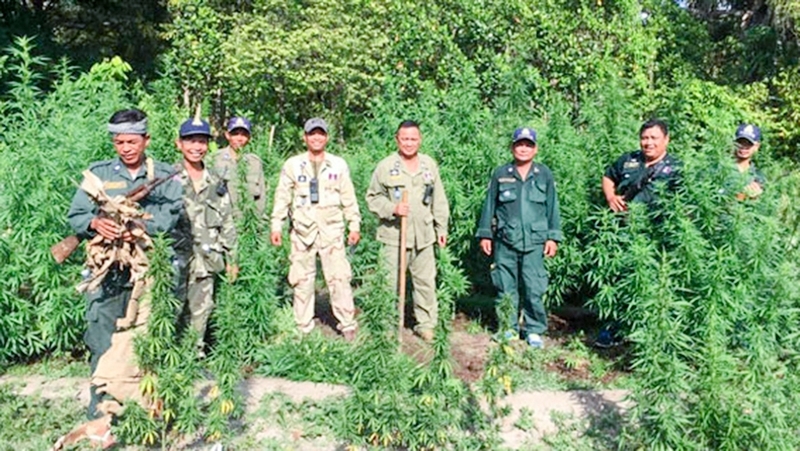 Authorities also destroyed 275,815 marijuana plants last year.